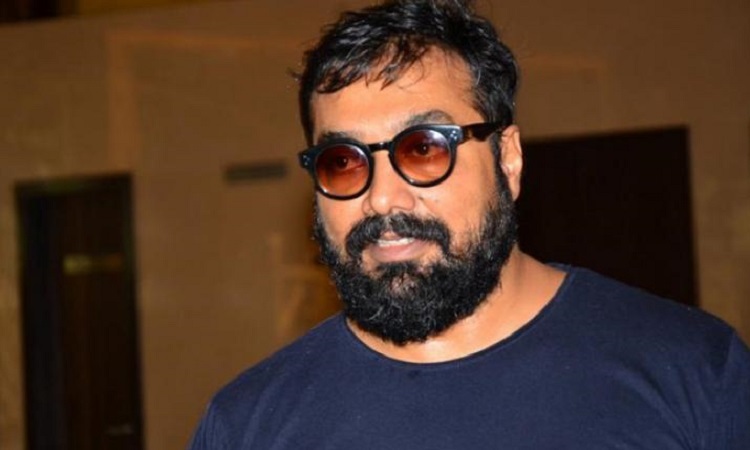 Anurag Kashyap has appreciated Congress President Rahul Gandhi's comment on freedom of expression as a fundamental democratic right, in the context of the filmmaker's web show "Sacred Games". However, filmmaker Madhur Bhandarkar has questioned the politician. Netflix's "Sacred Games", produced by the Anil Ambani-led Reliance Entertainment's Phantom Films joint venture, is facing a legal petition over the removal of certain content from the web series on the grounds of insulting Rajiv Gandhi. Breaking his silence over the "Sacred Games" web series, Rahul Gandhi had on Saturday tweeted: "BJP/RSS believe the freedom of expression must be policed and controlled. I believe this freedom is a fundamental democratic right." "My father lived and died in the service of India. The views of a character on a fictional web series can never change that," he added. To that, Kashyap, who has directed the show with Vikramaditya Motwane, wrote: "That's a yay..."
Actress Swara Bhaskar, who often expresses her opinion on socio-political issues, wrote: "It is impressive that a mainstream politician like Rahul Gandhi is taking this clear and progressive stand on freedom of expression and censorship. Also, it's gracious and mature that he is able to set aside the personal for the larger goal of democratic rights. Credit where due." Photographer and Bollywood producer Atul Kasbekar said: "This mature view should hopefully now put to rest other easily outraged folks for any future 'transgressions and perceived insults'. Well done Mr. Gandhi." "Love the response! About time! (Although politicians use a liberal dose of fiction as and when convenient in their narratives and agendas). It's great to see a mature take on real fiction - just letting it be! No conjecture! No propaganda! Creative freedom." Bhandarkar found a contradiction in Rahul Gandhi's comment. He posted a video, and wrote: "Dear Rahul Gandhiji, here is a compilation of the harrowing experience I had when your party workers tried to police and control my freedom of expression during my film 'Indu Sarkar'. I was hounded at various cities to 5-star hotels to the censor board office. I requested for your support, but you didn't." The filmmaker's "Indu Sarkar" faced the heat from Congress supporters who conjectured the film was an attempt to portray former Prime Minister Indira Gandhi and her son Sanjay Gandhi in a negative light. As for "Sacred Games", it is based on author Vikram Chandra's eponymous novel. The show has references to the Emergency imposed by the Indira Gandhi government, as well as the Bofors scandal and the Shah Bano case that created a storm during Rajiv Gandhi's tenure as Prime Minister. Largely, the film industry, audience, and even international media have given a thumbs up to the show, which has Saif Ali Khan, Nawazuddin Siddiqui and Radhika Apte in pivotal roles. Filmmaker Karan Johar tweeted: "The bar is set! The standard is gold! 'Sacred Games' is the best digital content of the season. Brilliantly written, executed and performed. This crime series will keep you hooked and completely booked for season 2! Bravo!!!"